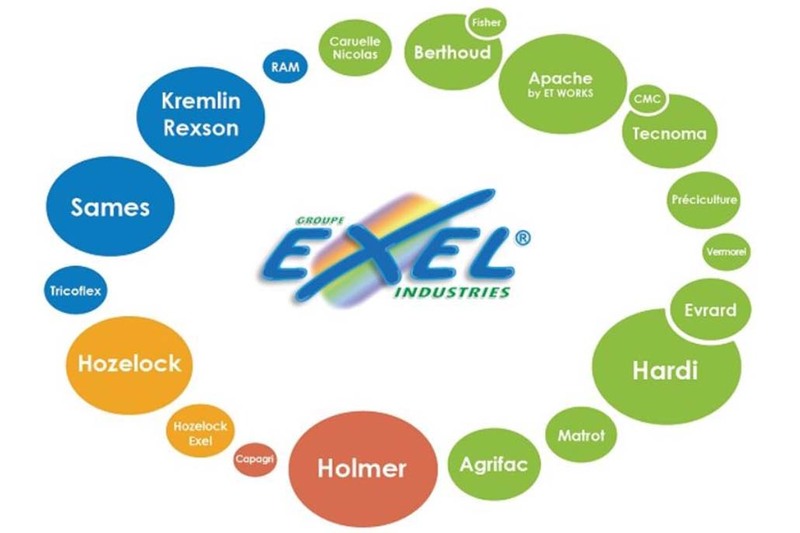 Created in 1987, at the heart of the Champagne vineyard, the Exel Industries group practices precision spraying in three complementary markets : agriculture, industry and consumers. The group became the first one worldwide of the precision spraying technics in plantcare and is the third for material protection. From the outset, we are committed to innovate and to regularly improve our products. The Research & Development mobilises important human resources (6 % of workforce) and financial resources (4 % of turnover). Cultural mainstay of the group, the R&D is a growth and success motor. Generally precursors, it is not uncommon that a product designed by our teams become progressively a standard.